The Diamond Jubilee is this weekend, marking the 60th anniversary of the Queen's reign (go on yourself, Lizzie!). There's loads and loads and loads of Jubilee themed merchandise and things cropping up on the internet, but I thought there was one thing missing in quite a few of them... CORGIS! 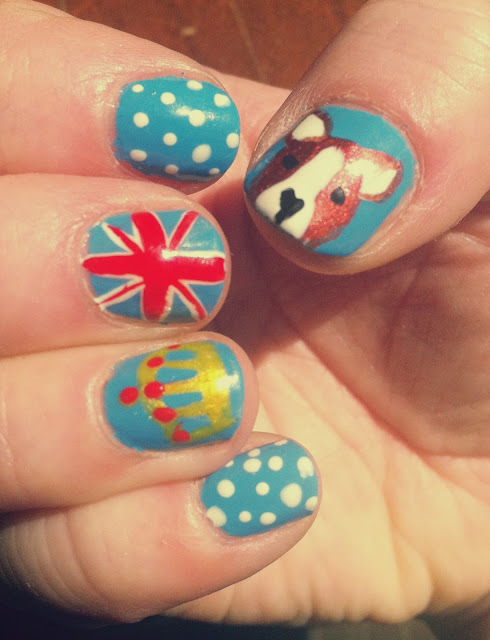 So here's my take on a Jubilee manicure - flags, crowns, corgis and all! This was actually one of the most fun nail art projects I've done in a while! 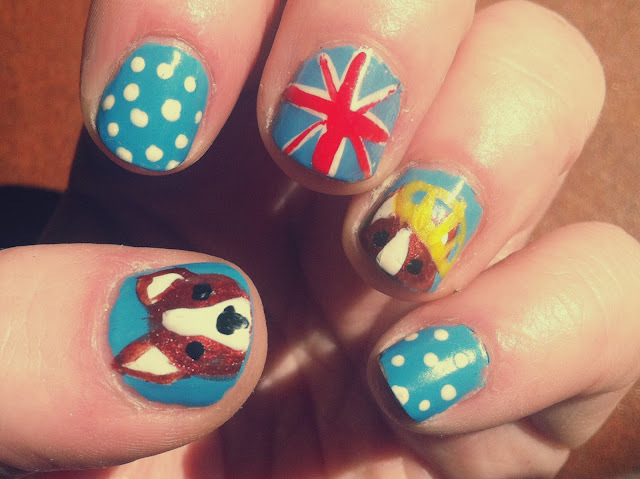 It took quite a while to do the different layers on the corgi nails (brown circle for face, add white stripe and white triangles for ears, outline ears, add nose and eyes! 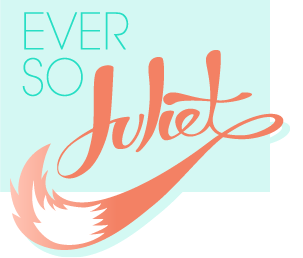 ), but I was catching up on gossip girl which made it much easier to be patient and let things dry! Polka dots, crown, flag, polka dots, corgi! If you fancy trying this yourself I'd highly recommend getting some nail art pens (as they make everything easier) - failing that get some fine brushes which should do the trick. Also, if you are going to a tea party this weekend - I am jealous of you! Tea parties are the best (I will be in Paris though.. so I am not that jealous of you). These are fab! Definitely want to try Jubilee nails for the weekend, although my skills aren't up to yours! These are the best I've seen =) love the corgis! Amazing! I'm in love with these! Especially that dog! CUTE! Wow that is amazing and really original, nice one!